There are two great China-related podcasts I listen to that I really enjoy and feel compelled to share. I find them both quite entertaining and I highly recommend them for anyone wanting a to learn more about the country. Average episode length: ~50 mins. Hosted by Kaiser Kuo and Jeremy Goldkorn, this podcast deals with current affairs in China and is great for keeping your ‘finger on the pulse’ of major issues there. 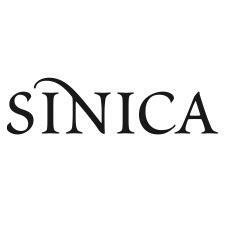 Each episode they have special guests with expertise in the topic being discussed, and the hosts themselves are extremely knowledgeable. Kaiser in particular is a very entertaining host (a former heavy metal guitarist) and, as a Chinese American who has spent much time in both countries, has unique insights that are often missed by the predominantly western (albeit highly informed) viewpoints usually expressed on the program. Average episode length: ~40 mins. 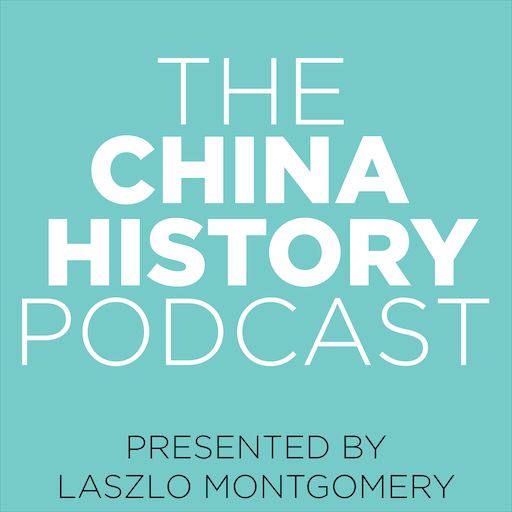 Hosted by China history enthusiast Laszlo Montgomery, this is a topic-based podcast with topics ranging from overviews of particular dynasties (e.g. the Tang) to notable historical figures (e.g. Deng Xiaoping), events (e.g. the Opium Wars), major cultural things (e.g. tea, Daoism) and more. Being topic-based is great because it means you can jump around to topics that interest you (which may be several episodes long) instead of having to listen to everything from start to finish. Laszlo does a great job compressing complicated and vast topics down into manageable chunks that can be easily understood. He typically uses multiple high quality historical sources and the episodes are presented in an entertaining way. He also has a good working knowledge of Mandarin, so is able to pronounce Chinese words quite accurately. Whilst the full transcripts of episodes aren’t available, he does provide the key terms used (including their Chinese characters), will helps if you want to dig into something you’ve heard further by yourself. Both podcasts have taught me so much, helping me establish a decent basic understanding of China. I’ve been able to use this as a springboard to dive into more details in particular areas when needed. I hope you will enjoy them as much as I do! I think Mandarin is a wonderful-sounding language, so early on in my studies I was eager to spend a lot of time improving my pronunciation and learning how to hear & produce the correct tones. One of the hardest aspects of this was training my ear to be able to identify tones that I heard. Performance report and analysis: The final report gives you a fascinating insight into a number of stats, including how good you were when you started, which tones you found difficult to differentiate relative to other ones, and how much you improved. Multiple native speakers: The course uses various different male and female voices, giving you exposure to the tones from voices with different timbres and registers. 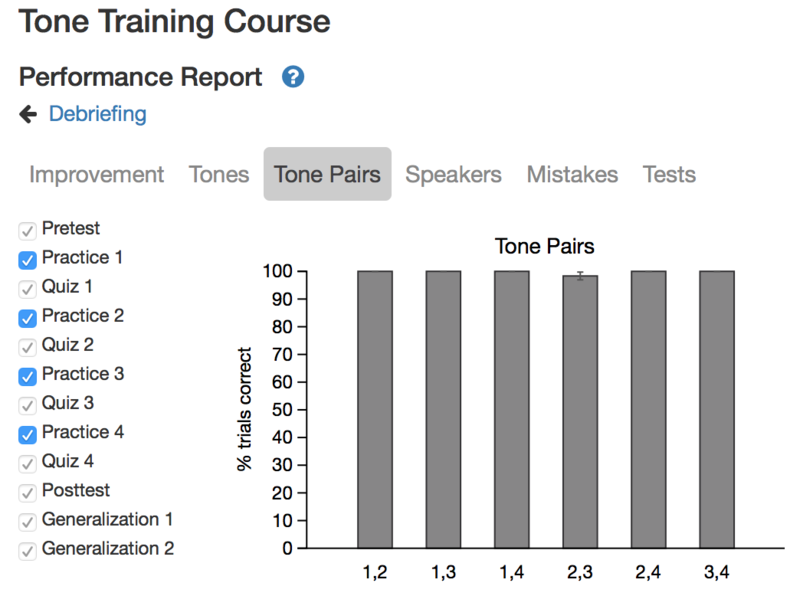 Thoroughness: It takes some time to work through the whole course, but unlike other tone trainers, it does have an ending. I am absolutely sure that anyone who is not yet comfortable with their tone differentiation will be much better by the end. While I feel like beginners are likely to gain the most value from this, I’d recommend it to anyone that hasn’t cracked the intermediate level yet as it could highlight remaining weak areas. I consider myself at the lower-intermediate level and I was able to identify the correct tone almost all the time (>95%) but it highlighted to me that differentiating between second and third tones was my weakest area. I had the most trouble during sessions only testing tones 2 and 3. A couple of bonuses: the data collected from this training course will be used by Olle in his academic research and, if you finish the course before the end of 2015 (only a week from the time I’m writing this! ), Olle will arrange to give you some free personalised pronunciation feedback. Get started on the course! Unfortunately such a course was not available when I was getting started. I recall that much of my early progress was gained using an app called “Pinyin Trainer” by trainchinese. It’s available for free on Android and iOS and helped me with both tone differentiation and pinyin pronunciation. It’s definitely worth a try too! After that, I had quite a lot of one-on-one tutoring with a professional Mandarin teacher who helped get me up to an acceptable level. I strongly believe that a solid grounding in the tones and pronunciation/pinyin is critical because it avoids the development of bad habits that can be very difficult to correct. Hopefully these resources and tips are useful to some folks out there. Best of luck!